Myth: Independent schools are not subject to the same accountability requirements as government schools. Fact: Independent schools are subject to a greater level of educational and financial accountability requirements than government schools. All Independent schools, regardless of teaching philosophy, faith affiliation, location or the socio economic status of their students, have to be registered by state and territory authorities in order to operate. Without registration, schools cannot operate or be eligible for any government funding. 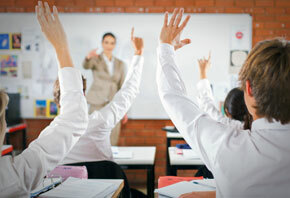 All non-government schools must comply with both Australian Government and state and territory government educational and financial accountability requirements. These requirements include participation in national testing; implementation of the national curriculum; the provision of data on schools, staff and students for national reporting; and completion of an annual financial questionnaire, financial viability assessment and reporting against government grants. Independent schools also have reporting obligations as charities to the Australian Charities and Not-for-profits Commission, as well as complying with a range of other requirements and regulations covering occupational health and safety, privacy and child protection, human rights and equal opportunity, local government planning, and building and fire codes. Much of this information is publicly available either in annual ABS reporting, on the My School website, in the Annual Report on Schooling or on the ACNC website. These requirements are monitored and governments can, and do, act if they consider a breach has occurred. Myth: Independent schools receive more government funding than public schools. Fact: On average, Independent schools receive around half the level of government funding of public schools. In 2014-15 Independent schools received, on average, $8,450 per student in total government recurrent funding compared to an average of $16,670 for a student in a government school. Misleading comparisons are often made between school sectors based solely on the amount of Commonwealth Government funding they receive. 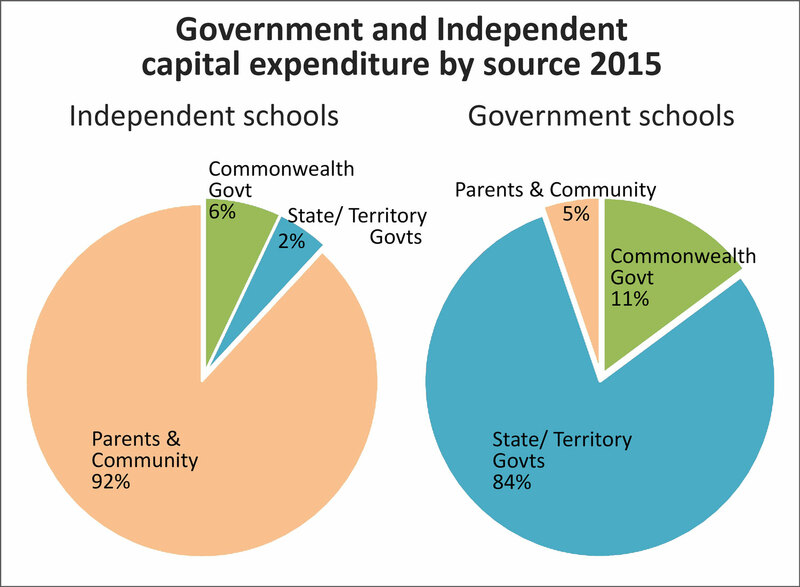 However school funding is a shared-responsibility model where the Commonwealth is the majority funder of non-government schools, and the states/ territories are the majority funders of government schools. So the only accurate way to compare funding between sectors is to compare combined Commonwealth and state/ territory funding. There is a common misconception that major building programs in Independent schools are funded through government funding. 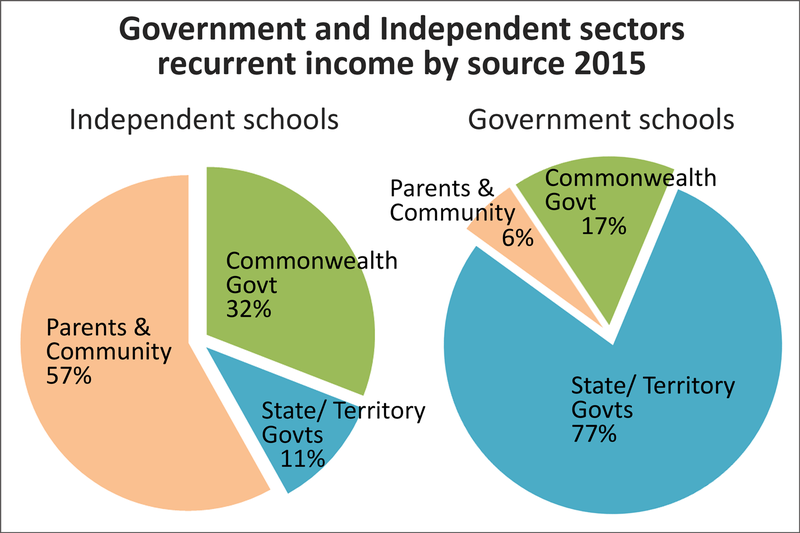 But the fact is, federal and state/ territory governments supply varying levels of recurrent funding to all Independent schools solely for the provision of education. This includes the payment of teacher salaries, curriculum-related and general school running costs. Spending recurrent funding on capital works is not allowed, and schools’ compliance in this is carefully monitored. 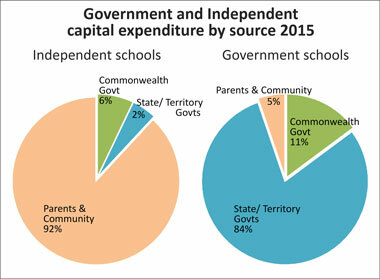 The Australian Government does provide some support for capital infrastructure in Independent schools. This is provided under the Capital Grants Program, which must give priority to schools with the least capacity to raise funds from their school communities. In 2016 grants for the Independent school sector totalled approximately $53 million. The vast majority of capital funding, nearly 90%, in the Independent school sector is provided by parents and communities. These funds are raised through fees, building funds, targeted fund raising and donations. For more information on capital funding see here. Myth: Independent schools charge very high fees. Fact: Independent school fees vary widely, with close to half of Independent schools charging less than $5,000 per annum. Fees in Independent schools vary greatly, with the majority of them much more affordable than people often expect. 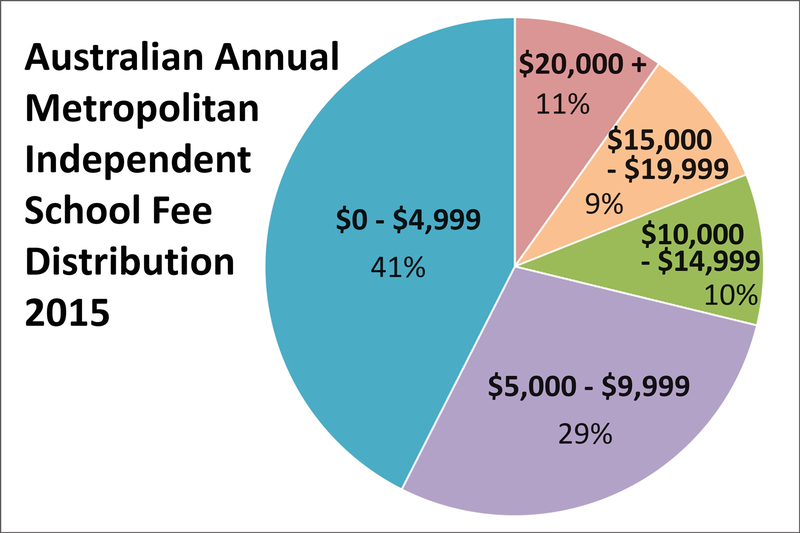 In 2015 the median Australian metropolitan Independent school fee was $5,465 per annum. Nationally, in 2015 nearly three quarters of metropolitan Independent schools were charging below $10,000 per annum. The sector also has schools serving extremely disadvantaged communities that charge no fees. In addition, it is worth noting that there are numerous ways parents can save on costs with many Independent schools offering scholarships, all-inclusive fees, and discounts for siblings or lump sum payments. Myth: Independent schools are only for wealthy families. Fact: Independent schools are accessed by a wide cross section of the community. There is a common perception of Independent schools catering to high income families. However, while the large well known Independent schools form an important part of the sector, they are not reflective of the majority of Independent schools. 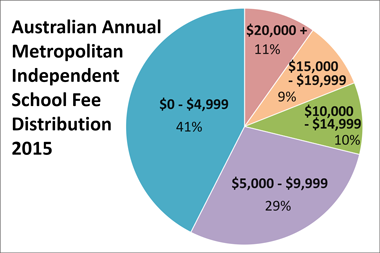 In fact, ninety per cent of Independent schools are low to medium fee establishments which reflect the diversity of Australian society. Independent schools also cater to specific groups of disadvantaged students including: high needs students with disability attending special schools, Indigenous students attending remote 100 per cent indigenous schools, and highly disadvantaged urban youth who have been excluded from mainstream schools. It is also important to remember that, while government schools continue to educate the majority of disadvantaged students, half of high income families choose to send their children to government schools. Myth: Government funding to Independent schools takes money from the public system. Fact: Non-government schools actually save governments money. The Independent school sector relies primarily on parents to fund schools, with 55 per cent of recurrent income coming from private sources. It has been estimated that if all Independent school students were to move to the public system it would cost the combined governments an additional $4.4 billion per annum. In addition, through fees and donations, parents and donors nationally provide nearly 90 per cent of capital funding for Independent school buildings, grounds and equipment. 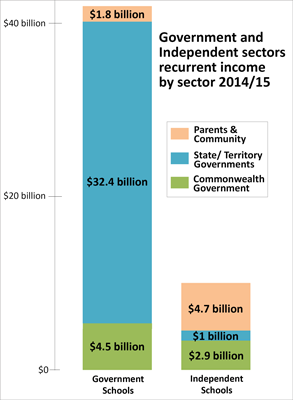 The Australian Government is the minority funder of government schools. If it were to cease funding non-government schools there is no guarantee that the funding would be transferred to government schools. It would also lead to very steep fee increases at low to medium fee Independent schools, resulting in the closure of many and placing additional pressure on the public system. Myth: Some Independent schools are making large profits. Fact: As not-for-profit entities Independent schools do not make ‘profits’. Any surplus collected must be reinvested into the school. In order to receive Australian Government funding, all Independent schools must be registered not-for-profit entities and comply with wide-ranging and detailed legislative requirements. According to the ACNC, it is good practice for not-for-profits to hold surplus funds in reserve in case of unfavourable or unexpected circumstances or to pay for planned future capital expenditures. In the case of Independent schools these circumstances may be unexpected changes in enrolments and funding or to pay for future capital expenditure to meet school growth or curriculum requirements. This is a common practice amongst Independent schools and is necessary as most Independent schools are stand-alone entities entirely responsible for their financial viability. Further, almost ninety per cent of capital funding in Independent schools is provided by the school community with minimal contribution to capital works coming from governments. In addition, it should be noted that not-for-profit organisations, including Independent schools, cannot disperse surpluses as ‘profit-taking’ the way that private sector organisations can, where shareholders may receive a share of profits. For more on surpluses generated by not-for-profits see the ACNC’s Charity Money Myths: The Facts about Operating as a NFP. Myth: All schools in Australia are now being funded on the same basis under the “Gonski” funding model. Fact: The seamless national funding model originally proposed by the Gonski Review has not eventuated. The new funding model commenced in January 2014, and was originally intended to be phased-in over 6 years under extremely complex transition arrangements. It is significantly different to the model envisaged by the funding review panel. The main difference between how government and non-government schools are funded is that non-government schools’ base funding is adjusted according to ‘capacity to contribute’. This means that the amount of base funding each school receives is dependent on that school community’s estimated capacity to contribute to the cost of schooling. Schools with a higher estimated capacity to contribute receive less per capita base funding. The legislated funding model only applies directly to the approximately 900 non-systemic Independent schools. The other 8,700 schools in Australia belong to systems and the system authorities can decide how to distribute funding for their schools. Myth: Under the “Gonski” funding model all students with disability receive loadings. 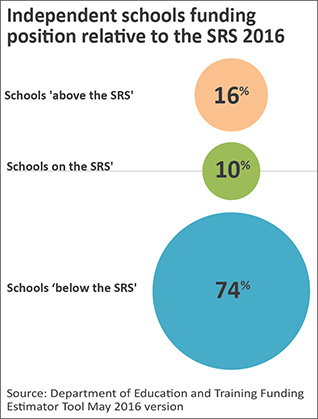 Fact: Schools do not receive full disability loadings until they have fully transitioned to the Schooling Resource Standard (SRS) funding model. 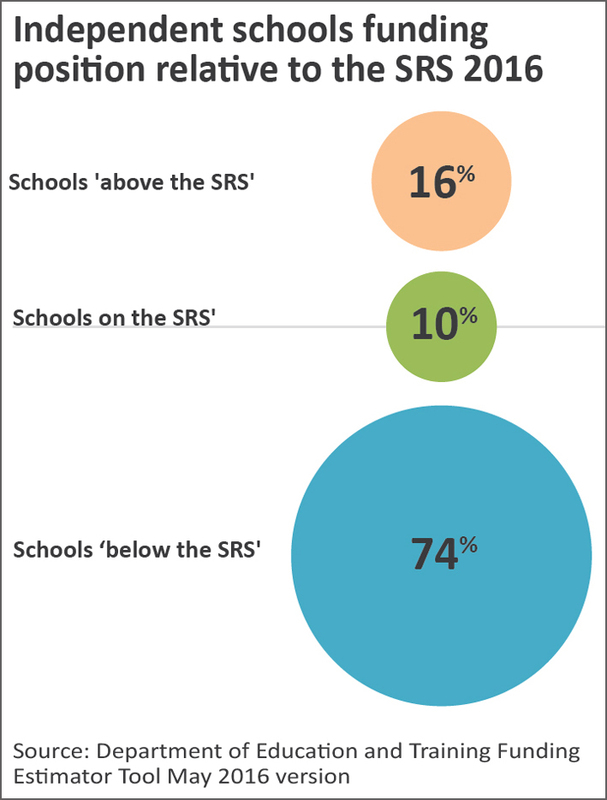 The transition arrangements in place for the new SRS funding model mean that the only schools in Australia receiving the full loading for students with disability are the 100 Independent schools which are ‘on the SRS’. All other schools and systems are in transition. Further, under current funding arrangements, only those students diagnosed as having a disability are eligible to attract additional funding. The definition of disability for the purposes of funding varies from state to state.